MIME Alums: Please help us grow this page! To contribute a story and photo, please use our Alumni News and Updates Form. We'd love to hear from you. Dr. Joseph Piacenza, MSME 2012, PhD 2014, reports that he has joined the faculty at Cal State Fullerton. Dr Piacenza is an Assistant Professor of Mechanical Engineering in the College of Engineering & Computer Science. Dr. Douglas L. Van Bossuyt – 2007 HBSME, HBAME (international degree program); MSME 2009; PHD ME 2012 – is entering his third year as an assistant professor at the Colorado School of Mines seated in the Mechanical Engineering Department and working with the Nuclear Science and Engineering Program and Center for Space Resources. 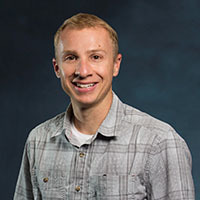 He focuses primarily on early conceptual complex system design methodological development for the assessment of risk and reliability information and secondarily focuses on additive manufacturing process control with the eventual goal of producing a design tool to aid engineers in designing parts that behave as intended. Dr. Van Bossuyt received the Nuclear Regulatory Commission Faculty Development Grant in 2014 and has worked to develop a laboratory to support his research spanning the aerospace, nuclear, and robotics domains. Recently, Dr. Van Bossuyt and his research group authored five papers at the 2015 ASME IDETC/CIE conferences. Dr. Sarah Oman, PhD ME 2012, is currently teaching Mechanical Engineering design courses at Northern Arizona University in Flagstaff, Arizona. Oman was hired on to develop a brand new course for sophomore design practices and to supervise senior Capstone Design projects. Dr. Hoda Mehrpouyan, PhD ME 2014, has joined the Columbus State University, Computer Science faculty as an assistant professor. At Oregon State, Mehrpouyan's PhD advisor was Prof. Irem Tumer, and her dissertation research addressed assessment and Improvement of the resilience of complex engineered systems during the early design process. Olivia Girod, HBS IE 2014, has joined Intel Corporation as an Operations Manager managing a team of 15-25 manufacturing technicians to support operations across three fabrication facilities. As well, Girod has earned the recognition of the Society of Manufacturing Engineers – named to SME Manufacturing's list "30 Under 30: Recognizing the Future Leaders of Manufacturing" for 2014. This is SME's second annual celebration of 30 young people who have demonstrated exceptional talent and leadership in Science, Technology, Engineering or Math. Jeff Stebel, MS IE 2005, has joined Sierra Nevada Corporation to provide risk analysis for the Dream Chaser space plane, a NASA space travel project. He is the flight test vehicle lead with a focus on electric power systems and hybrid propulsion systems. Stebel previously worked for Lockheed-Martin on NASA's Orion contract. Ben Rivera, BS ME 1991 has been promoted at Leatherman Tool Group to the position of president of the company's tool-making division. Rivera has been with Leatherman for more than 20 years and played a pivotal role in the design and evolution of the company's multi-function tools. Rivera's appointment comes as the company enters new markets such as Action Sports, and expands existing products such as PocketTool. 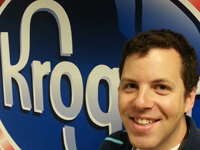 Steve Bastion, BS IE 2005, has started a new position with Kroger as NW Regional Industrial Engineer based in Clackamas, Oregon. Steve says that he is happy to provide tours of Fred Meyer distribution centers for fellow School of MIME Industrial Engineers. 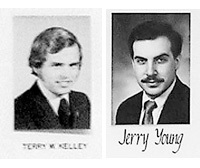 Terry Kelley (BSME 1974, MSME 1975) is currently the Business Development Manager for GeoGlobal Energy LLC, a privately-held geothermal company headquartered in Chevy Chase, MD, and focused on the worldwide development and acquisition of geothermal resources to generate base load, renewable, low-carbon electricity. Jerry Young (BSME 1989) was recently promoted to Master-Level Senior Technologist in Hewlett Packard's Intellectual Property Department (Boise campus). He is also a current member of the MIME Industry Affiliates Board. 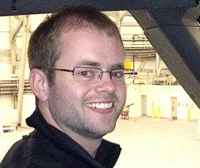 Luke Bortnem (BSIE & MfgE 2009) has worked at Boeing since 2010 after completing his second MECOP internship with the company. Bortnem has been involved on a number of projects for Boeing including working on 737 Pilot Controls, 777 Flap Supports, and 737 Flap Tracks. Six MIME alumni were honored at the 2013 Oregon Staters banquet in February: David West (BSME 1969), Lewis Danielson (BSME 1979), Elizabeth Hammack (BSIE 1981), Paul Anderson (BSIE 1980), Nancy Adcock (BSME 2001), and Meagan Bozeman (BSME 1997). Nans Kunz (BSME 1978) has worked at NASA since graduating from OSU. Kunz was the Chief Engineer for the development of the Stratoshperic Observatory For Infrared Astronomy (SOFIA) Program. 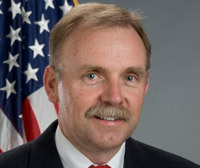 Currently, Kunz is the NESC Chief Engineer for NASA Ames Research Center. 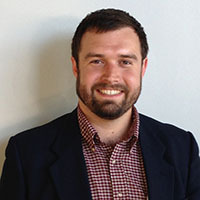 David C. Jensen (BSME 2008, MSME 2009, PhD ME 2012) has joined the University of Arkansas ME faculty as an assistant professor. At OSU, Jensen's PhD advisor was Irem Tumer, and his dissertation research addressed model-based predictions of system failure behavior and systems validation. Jacquelyn K. Nagel (PhD ME 2010), an assistant professor at James Madison University, was nominated by IEEE-USA as one of the National Engineers Week Foundation's 2012 New Faces of Engineering. This program honors outstanding engineers under the age of 30. Nagel was recognized for her pioneering work in bio-inspired sensor, instrumentation, and energy systems design. Her dissertation research, completed under PhD advisor Rob Stone, was on function-based, biologically-inspired concept generation. Six MIME alumni were honored at the 2012 Oregon Staters banquet in February: Katherine Hammack (BSME 1981), Andrew Hill (BSME 2000), Scott Henry III (BSME 1958, MSME 1959), Steve Smith (BSIE 1969), Leonard Weitman (BSIE 1978) and Ian Wendler (BSIE 2000).